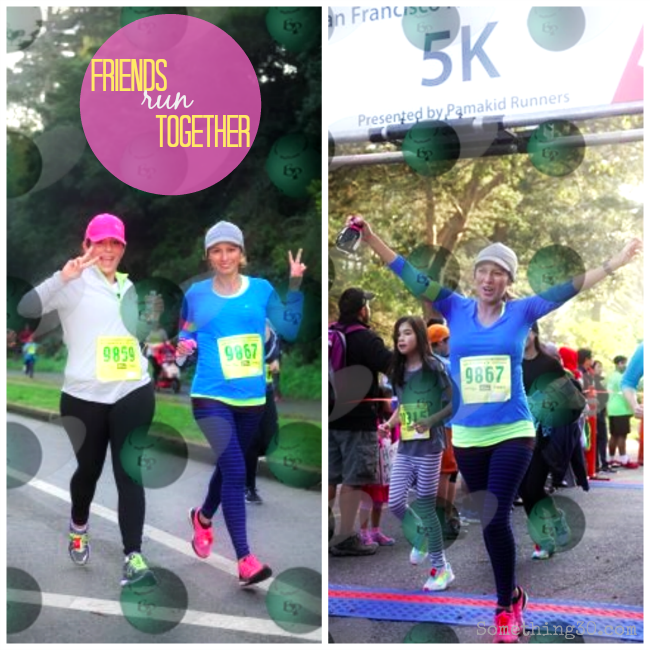 Last weekend I had the chance to run with my bestie our first 5K at the Kaiser Permanent Run at the Golden Gate Park in San Francisco. This is my 3rd time running in this event but my other times have been Half Marathons. 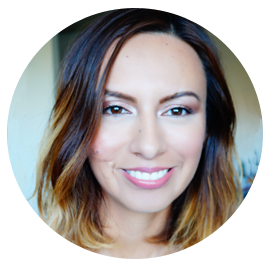 When I began to enter my 2nd trimester I began to feel much better to going back to a workout routine and honestly just missed Running so much. I signed up to encourage me to be consistent as well as to know I can do it. I followed the rule of listening to my body when I trained. I didn't train the same as I've done in the past but also this run wasn't a Half Marathon. Though I didn't run as much in the months of December and January I was maintaning my body by doing PIYO. If it wasn't for PIYO I don't think I could of finished feeling so great and with a great time too. Usually before every run I can't sleep out of excitement and this run was no exception. There were so many Runners at the event. Usually at these events are extremely focused and just into my own world but it was nice to break things up and enjoy the run with my Bestie. It was fun to get into the moment and in the process doing a much better time than expected. During my training I've been taking it very cautiously since this is my first pregnancy and making sure I kept my heart beat rate down and not overheating. The difference between running with someone else is you push each other to get to the finish line. It was amazing such great momentum we had during the run so we kept on checking with each other, maintained steady pace so we kept running instead of walking. 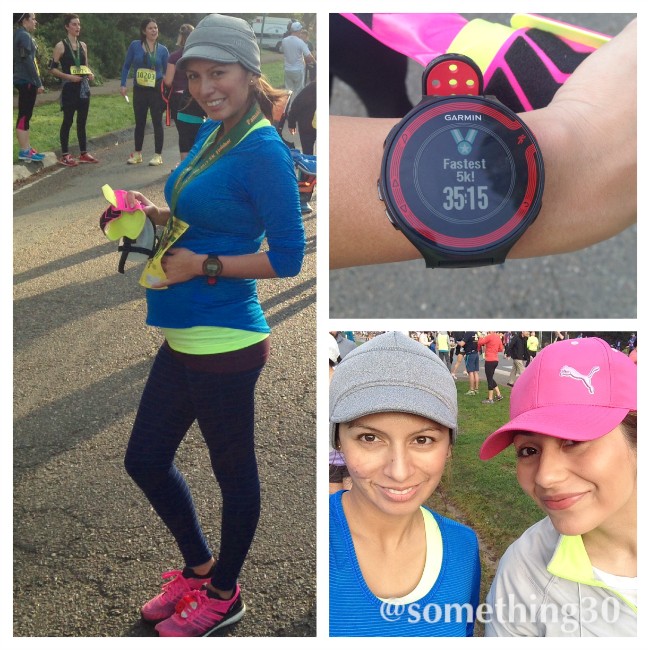 My friend made me extremely proud it was her first doing a 5K and she was getting it down with good pace and great form! I tell you the power of running with others with the same passion as you push you forward. Our official time was 40 minutes vs my watch below. Regardless of the difference time is still amazing! We thought we would finish under an hour since I've been running a lot slower. I am proud for our accomplishment to say the least. Next run I am doing is the Oakland 5K here in the bay area in March. 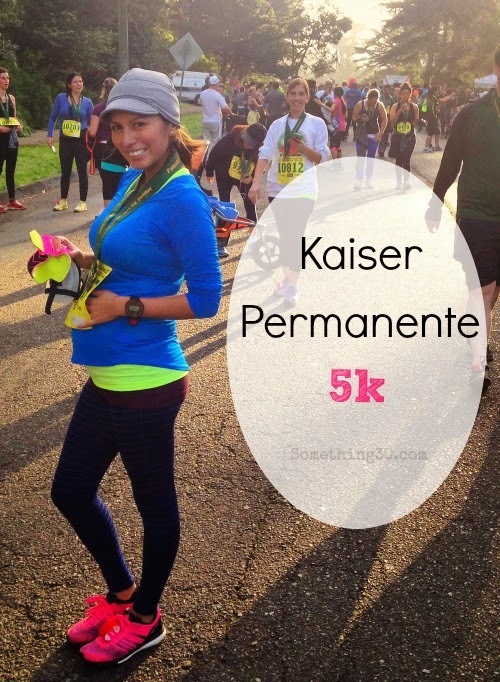 I don't want to stress myself with training for half marathons at this point while I am pregnant. My goal is to complete the Bay to Breakers 12K run in May so that's what I am prepping for. At a later post I'll share tips how to run pregnant so stay tune for a future post. If you have suggestion about a post please share it in my social media outlets. Always love hearing from you!